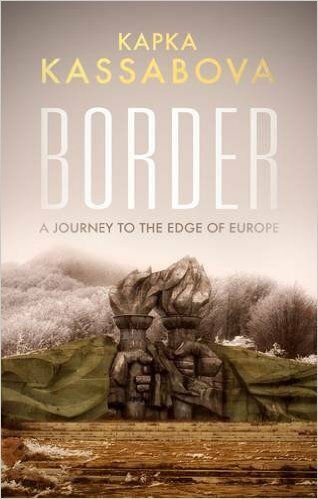 This is a magical book and one of the very, very few to open up the wild and forgotten lands of ancient Thrace that straddle that corner of Europe where Turkey meets Bulgaria and Greece. My first encounter with this area came in the mid-1980s when, as a young journalist on a routine assignment to a Bulgaria still in the Warsaw Pact, I was unexpectedly whisked away to the Foreign Ministry and subjected to a mind-bending 90-minute monologue by the deputy foreign minister who denied that Bulgaria had been expelling ethnic Turks from the region. It was something I knew absolutely nothing about – these borderlands were even more remote then – but the ferocity of his inept denials persuaded me that the Government of pro-Soviet Todor Zhivkov were guilty as charged. And so it turned out to be. Kassabova captures the lingering ethnic tapestry of the region, its pagan-like religions and fire-walking cults, in poetic prose of mystical elegance. Bulgaria is the fastest depopulating country in the world and the author goes the extra mile to track down witnesses and survivors in shrinking villages. The thickly forested part of the region was the most dreaded posting in the Bulgarian army. Men could spend two years in these gloomy woods. With no leave and little or no female company some went mad and shot themselves or their colleagues. Others relieved the boredom by shooting would be escapers, mainly East Germans, who armed with maps printed in East Germany depicting false borders, mistakenly believed that they had found the soft spot in the Iron Curtain. Over 400 died in these benighted woods. Some assisted corrupt party bosses, including Zhivkov’s daughter, to plunder treasures from Thracian tombs which were smuggled out in diplomatic pouches and sold into the international art market in Vienna to fund lives of luxury for the few. We know little of Thrace, its inhabitants never established an empire, but it can lay claim to having invented wine and one of its sons lingers on in our imagination – Spartacus the leader of the slave revolt against the Roman empire came from the plains of Thrace where the remaining inhabitants of tumbledown villages (and I have driven through some which literally are tumbling down into the road as Bulgaria grapples with a projected 27 per cent decline in population) now yearn for those dreary days when there was, at least, people and pensions, work and certainty. This book recently featured as a BBC Radio 4 Book of the Week. It was an excellent choice. Border by Kapka Kassabova. Pub Granta Books, 380pp, pbk, £14.99p.